Everything’s coming up Rosés: A three bottle throwdown. Yesterday, Kara and I did a little tasting at Guglielmo Winery. 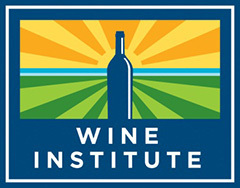 I originally went there with the intention of tasting and scoring EVERY wine we tasted. Things did not go as planned. The problem was that a tasting room is not an ideal space to score wines. Too many people. Too many wines. Too many distractions. That, and it’s embarrassing to write down a score in front of people working for the winery you are scoring. I will say that I had a great time there. None of their wines felt like must-haves, but Guglielmo is a fun place to be. All of their wines fall in that 83 – 89 point range for me. All of the people that work there are more like 92’s. Great, great folks and a neat place to visit if you are ever visiting the Santa Clara Valley. The wine that stuck out the most to me was the 2010 Estate Grown Rosatello. 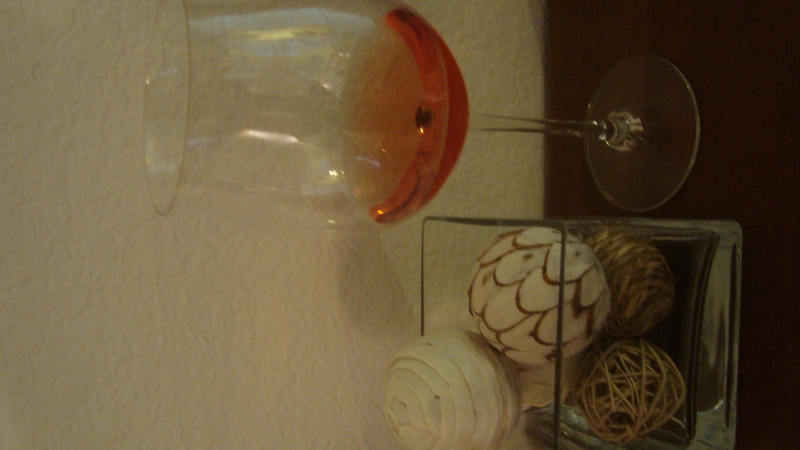 It was an interesting rosé wine made from the grignolino grape (a super nerdy varietal from Italy). Guglielmo claims to be one of only two wineries in California to grow the grape in any significant quantities. 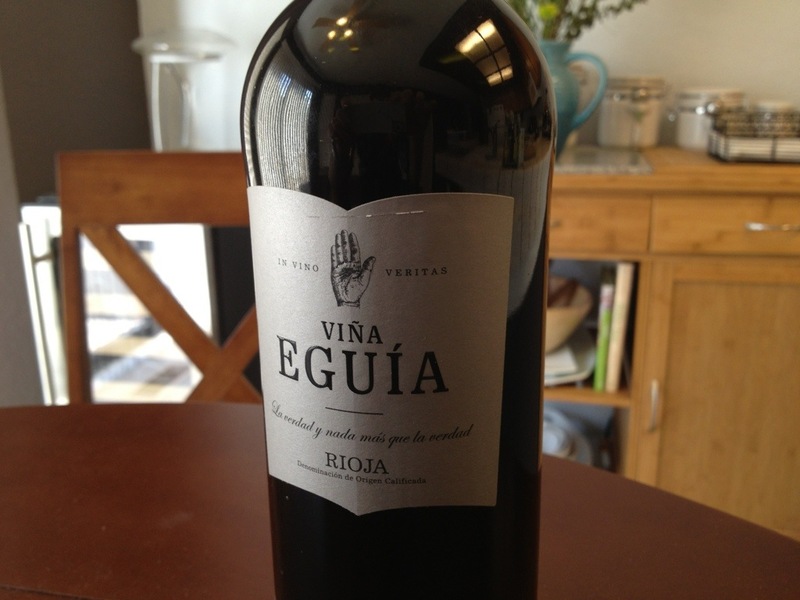 The wine seemed food-friendly enough, so I purchased a bottle for $16. I’m not a HUGE rosé drinker, so it is a tough category for me to score (It’s tough to type too. Alt + 0233 = é). Part of this blog experience is to try new things. 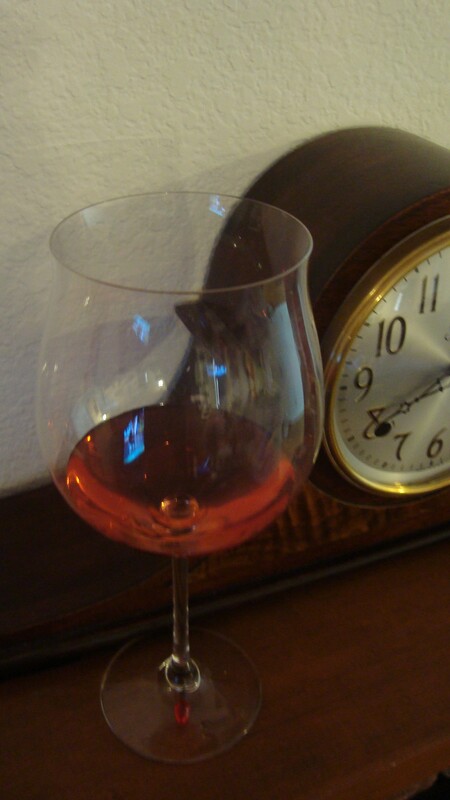 So how do I transition from a novice into an expert on pink wines? 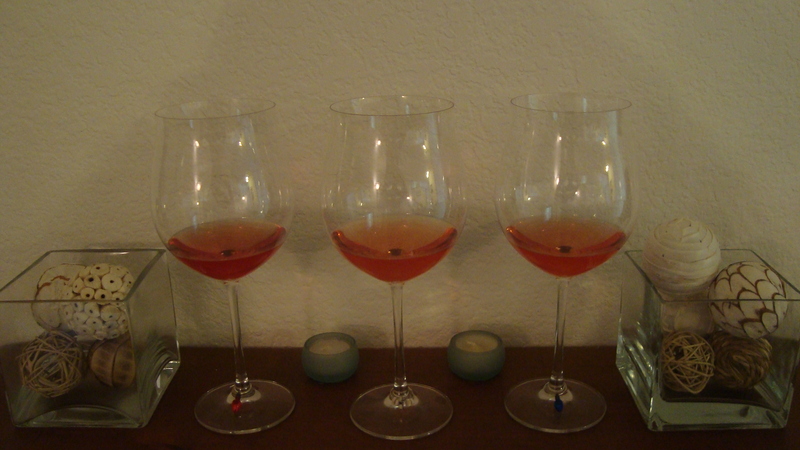 The three Rosés were labeled with wine charms: "Red", "White", and "Blue". In the battle between Spain, France, and the USA, I think we all know who should win... or do we? "Red": You know what time it is! Color: This is the darkest wine of the bunch. It haa a cool blood-orange type of color. Nose: There is a really pretty nose to this one. Peach skin, oranges, and licorice dominate the nose. There is a strong minerality that is rounded out with a hint of strawberry. Taste: This is what I would expect a Rosé to taste like. Very dry. There’s a nice orange and peach fruit to this, but the wine is much more driven by its minerality and acidity. There is a long rubbery finish that I really like. My guess is that this is the French Rose. "White": More like orange! Heyohhhhhh!!!!!! Color: The color is a very dull, very light, orange tint. Nose: The nose is very tight. There are hints of sugar and salt. There’s a subtle touch of peach. Taste: The first second of the taste was salty minerality. This flavor gave way in an instant to a beautiful mouth full of cream and licorice. It has some oak notes that remind me of a California red wine. I really like this! I’m thinking that this is the Spanish Rose. "Blue": The candle is for Evan. 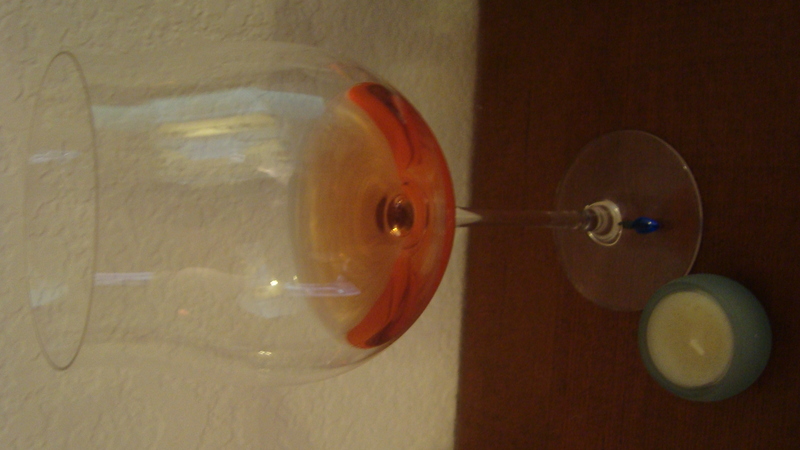 Color: The color on this wine is almost identical to that of the second (“White”) wine. Light, dull, and orange. Nose: The nose is giving subtle hints of peach and minerals. Taste: All I can think of when tasting this wine is the viscosity. This wine is the thickest of them all. There’s a light acidity and minerality. This wine would go well with food, but mostly because it would not get in the way of the food. I doubt, however, that it would do anything to enhance the food experience. This wine confused me. It’s not bad. It’s pleasant. It just doesn’t bring much to the table. The scores have been tallied, and the I’ve seen what’s what. Here are the results from worst to first. 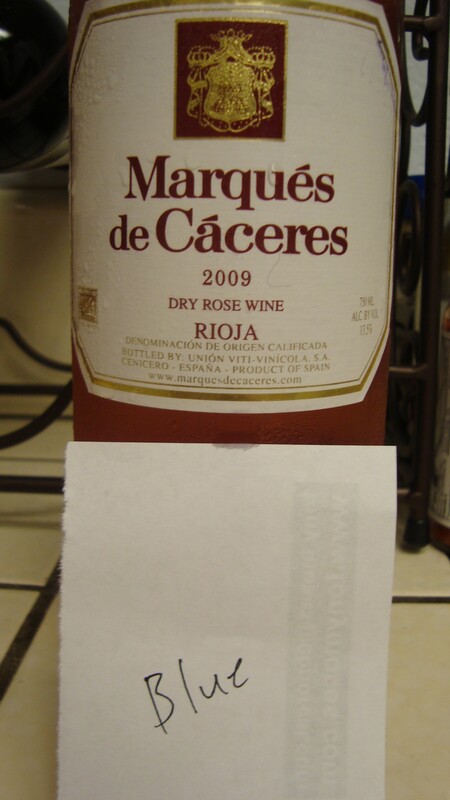 Marques de Caceres 2009 Dry Rose Wine. Rioja, Spain. This wine made me "Blue". I originally gave the Marques de Caceres an 85+, but the more I thought about it, the more I disliked it. Again, it is not bad. The problem is that for 7 bucks, I can find at least two wines that are significantly better in a similar price range. Give it an 82 with shrugged shoulders. 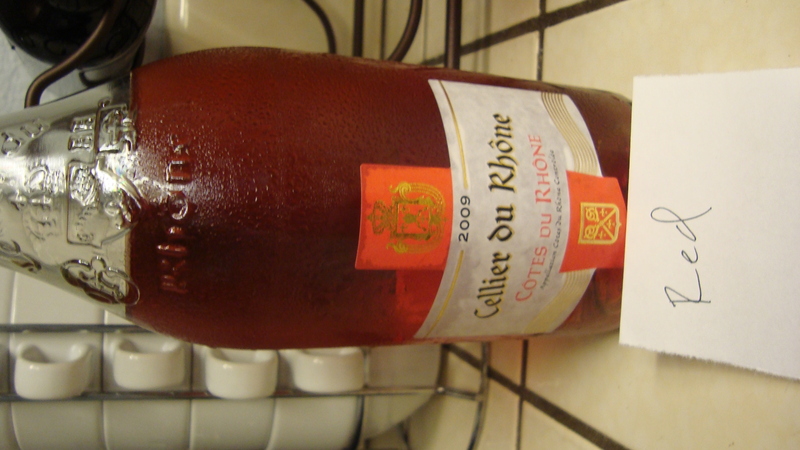 Cellier du Rhone 2009 Cotes du Rhone Rose. "Red" and Rad! The Cellier du Rhone is a steal at 5 bucks a bottle! Give it an 86. This is what I want from a summer time rosé. 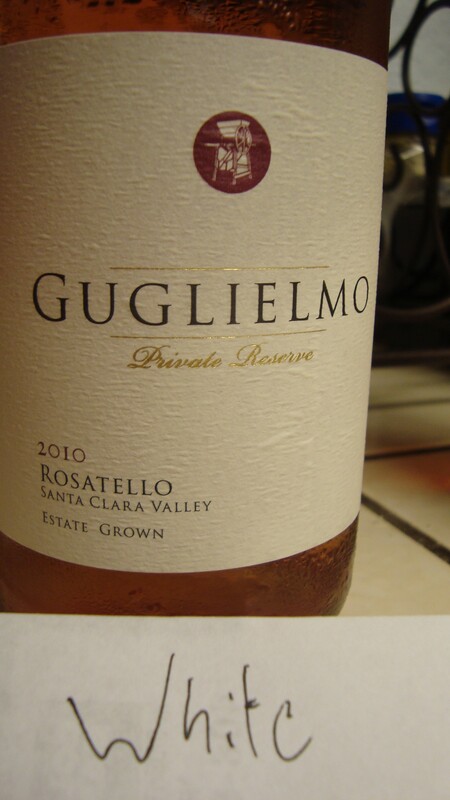 Guglielmo Private Reserve 2010 Estate Grown Rosatello. Santa Clara Valley, California. In spite of the look, this is NOT a crappy "White" zin. The Guglielmo Rosatello is not your typical rose. I am, however, in love with the creaminess of this wine. Give it an 88 and save it for a hot summer afternoon. So, there you have it. I don’t know if I’m an expert yet, but I think I learned a lot today.